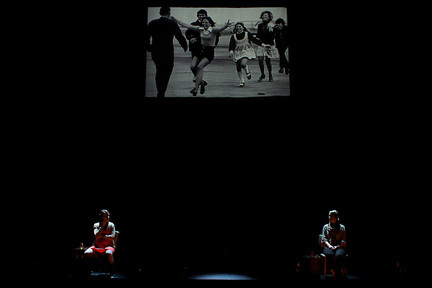 ​Thigh High Theatre (THT) was created in 2010 by Cassidy Thomson and Lauren Holfeuer. The two friends had been inspired by the work and innovation they had witnessed during their travels to the Edinburgh Fringe Festival in 2009. THT has seen success and great audience response for it's first five productions. Five Women Wearing the Same Dress and The Edible Woman (both produced within Live Five Theatre Seasons) garnered sold out runs at the Refinery in Saskatoon while Our Four Walls was an exciting original collaboration that stretched the creative skills of both audience and artist. THT believes in creating challenging work that features female artists and female voices. They work to engage these artists in an atmosphere of positive personal growth. THT aims to provide opportunity and support for female artists looking to further their skills in all areas of the theatre arts. ** Do you want help getting a show, an idea, a tough meeting, or an audition off the ground? Contact THT and we will be happy to partner with you in developing a plan for success. Want to pitch us an idea? We want to hear it! !